One of them most common tasks that we need to know how to do with React is to render a list of items dynamically - meaning: we don't know how many items we're going to render at any given time. Zero or one hundred - it shouldn't matter. The App component is a root component - it encapsulates our entire React application. Image component on the other hand renders a single image element. The Image component gets two props: the source and the key props. Remember that our Image component needs to know what image file it should render and source property tells it exactly that. But what about that key property - we don't use it in our Image component - why are we passing it then? 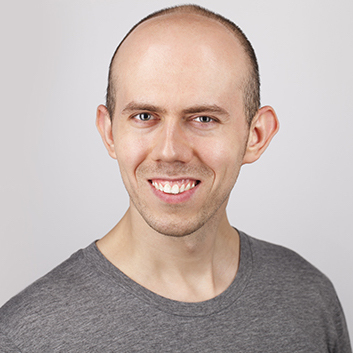 The key property is used by React to uniquely identify our Image component instances. Think about it this way: React needs a way to distinguish between multiple instances of a child component (our Image component is a child component of App component) when they're created dynamically. 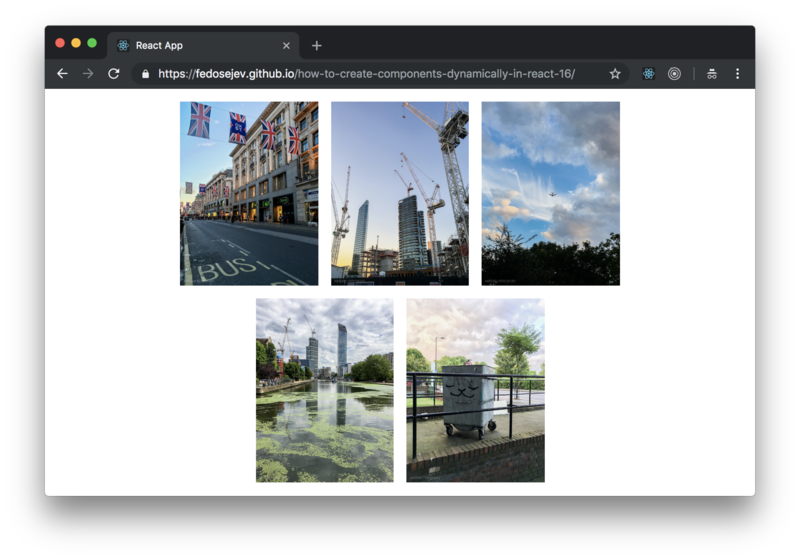 Here is what's happening: in our App component React calls render function that iterates over IMAGES array and creates a new Image component instance for each image in the IMAGES array. If we later decide to update IMAGES array and add another 10 image - our React application will work without any changes. That's the power of dynamically generating child components in React. And that's how you create components dynamically in React 16.